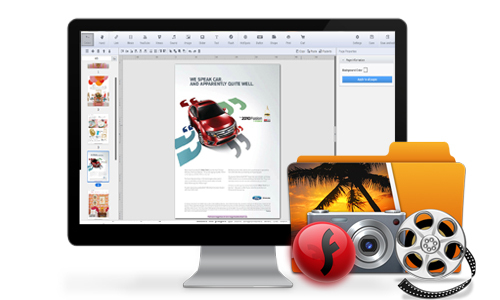 Anyflip flipbook software for Mac is a perfect flip book maker to create and publish digital Flash and HTML5 page flipping book that can be viewed across desktop, tablets and mobile devices. Particularly, Anyflip creates unlimited 3D page-turning publications easily on Mac OS X. 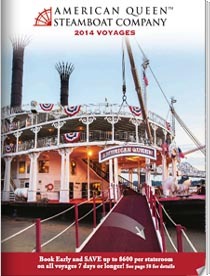 Readers can enjoy the interactive digital experience and view the creative page turning book anywhere, anytime. Anyflip, the flipbook software for Mac is an easy to use tool for Mac users. When creating a flipbook, you can start from a PDF document. Just import it and Anyflip will convert PDF to digital interactive HTML5 page flipping book in minutes. This online flip book software also allows you to edit flash and HTML5 flip book by adding stunning multimedia, such as text, image, music, video, YouTube video, Vimeo Video, slider and hotspot to any flip page. 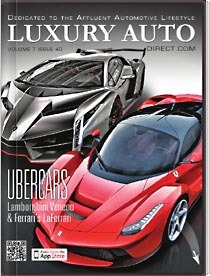 This feature makes the flipbook attractive and helps to deliver more attractive content to readers conveniently. Then you can publish flipbooks created with this Flipbook Maker online to view flash&HTML5 flip book via any computer and mobile device. In the end, you can share your created and uploaded digital flash book with your family, friends, customers and even more. Within very litter time, users can use Anyflip to turn their static PDF files into animated page flipping books. 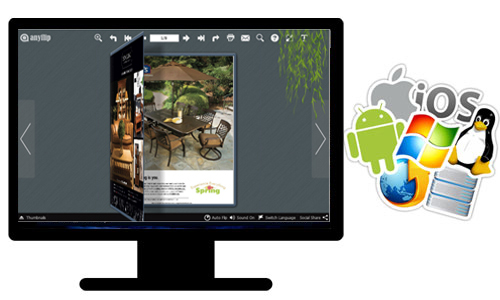 This enables you to quickly create a flipbook with realistic page turning effect. It confronts viewers with an entirely new sensory digital experience. 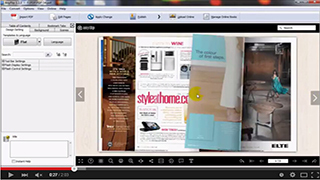 Flipbook Maker Anyflip owns a powerful page editor, which enables you to insert whatever multimedia your flipbook needs, like text, image, music, video, YouTube & Vimeo video and so on. All this projects work well on customizing the flipping book pages. A wide selection of Anyflip Flash flip book outputs offers you to easily publish your flipbook in multiple ways. 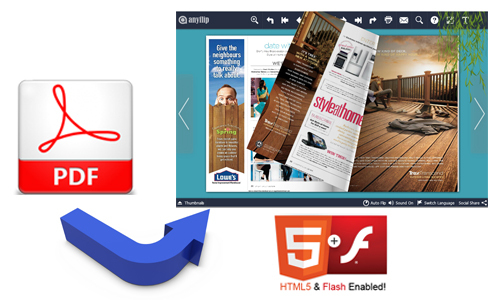 Anyflip supports html, zip, app, exe output flipbook format, which is best for viewers to view HTML5 flipbook on any devices. 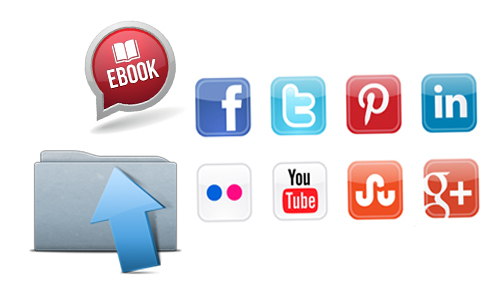 After you uploading flipbooks online, you’re allowed to share directly through social networks that your online page flipping book is integrated with. In this way, lots of views will be able to view your flipbook and learn more about your brand.